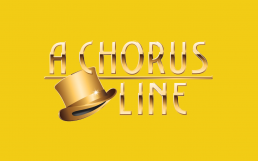 One Singular Sensation: Argenta Community Theater is pleased to announce the cast of our Summer 2019 musical, A Chorus Line. Running July 17th – 27th, this powerhouse lineup features both veteran local actors and breakout newcomers. Directed by Vincent Insalaco and choreographed by Christen Pitts and Allison Stodola Wilson. The Argenta Community Theater is pleased to announce our 7th annual Children’s Theater Summer Camp from June 10-21, 2019. This year the program will feature 4 professional performing arts teachers focusing on Dance, Vocal Music, Film and Acting. On the final day, Friday June 21, parents and friends are invited to attend the ACTing Up Finale performance, which will feature the campers’ work from throughout the two week program. Tuition for the two-week camp is $225. A maximum of 25 students will be accepted per class. 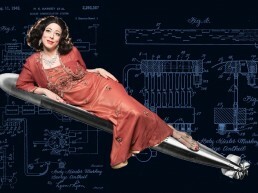 ACANSA Presents this award-winning one-woman show, which explores the life, inventions, and person of Hedy Lamarr, Viennese-born Hollywood film star of the 1930s-50s. “Hedy Lamarr, glamorous siren of the silver screen, was more than the most beautiful woman in the world. She invented frequency hopping and spread spectrum technology that make the world of wireless communication tick. 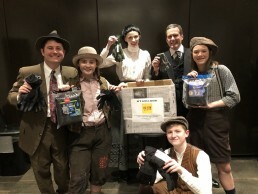 From Austria to Hollywood, WWII, torpedoes, ecstasy, and intrigue to the very cell phone in your pocket, she was there!” Free performances for local students will also be offered. Coming Soon! Argenta Community Theater presents the first annual ENCORE! For Education benefit for ACT’s educational outreach programs. 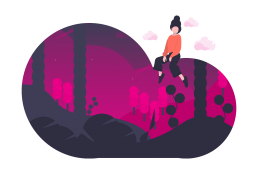 Past performers, students and friends of ACT will gather to reprise hits from ACT’s history of fabulous performances, as well as showcase new pieces. This fun, cabaret style fundraiser includes a dessert buffet with ticket purchase. VIP tables and sponsorship opportunities are also available. We hope you’ll join us in supporting our exciting educational programs! As part of ACT’s mission to serve our local community, we are proud to have recently launched the ACT Gives Back program. The Argenta Community Theater is a nonprofit organization committed to serving the community through education and advancement of the performing arts. 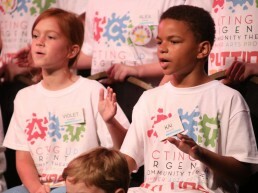 Founded in 2010 by Judy Tenenbaum and Vincent Insalaco, ACT has come to be known throughout central Arkansas as a producer of high-quality theatrical events, a source of arts education opportunities, and hub for collaboration between multiple arts and community organizations. With a flexible design and floorplan, the building itself has been used for events from musicals to weddings to fundraisers and summer theater camps. Through its facilities and partnerships, ACT also seeks to strengthen cooperation among non-profits within the community.